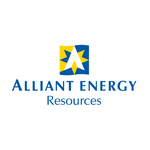 Alliant Energy Corporation is a wholly owned utility holding organization that has been incorporated in the year 1981. It comprises of 4 divisions - Interstate Power and Light Company (IPL) which distributes and generates electricity, transport and distributes natural gas in Southern and Iowa Minnesota; Wisconsin Power and Light Company (WPL) providing equivalent services in Central and Western Wisconsin as IPL; Resource which is organized for management of non-regulated investments; Corporate Services offering administrative services for Alliant Energy as well its ancillaries. 2011 report stated the company employs 4,262 employees and generated revenue of $3.665 billion. It's specialties include natural gas services, Wind & Renewable energy etc. There are currently 0 consumer reviews about Alliant Energy available. Share your review. Please take a note that you are about to post a public review about Alliant Energy corporate office on CorporateOffice.com. This review will be public, so please do not post any of your personal information on this website. If you would like to contact the corporate offices of Alliant Energy, please use their contact information such as their phone number, website, and address listed above to contact them. However, sometimes staff from Alliant Energy headquarters do read the reviews on this website.